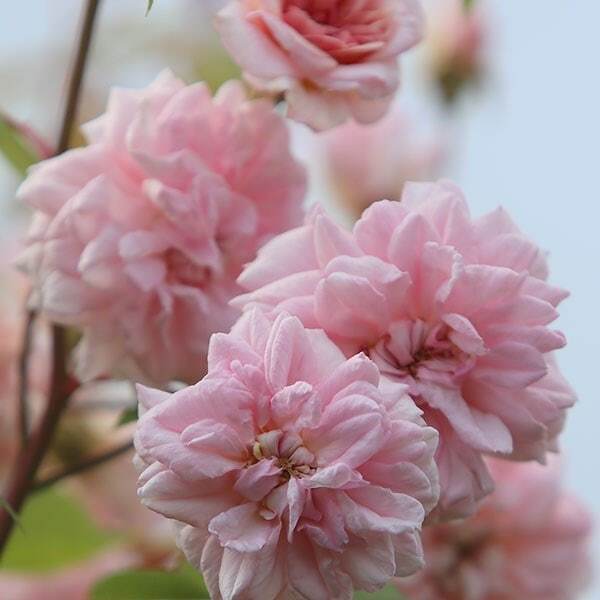 Tiny, hybrid T shaped buds appear in clusters and open to sweetly scented, fully double, light pink flowers for a long period throughout summer. 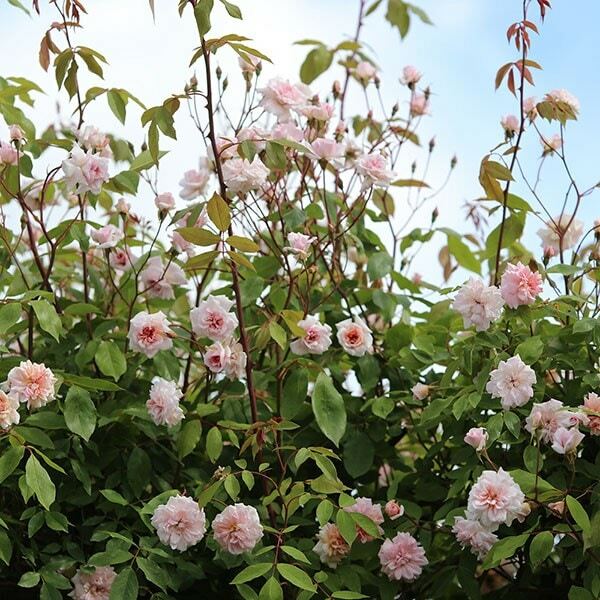 Well known for its prolific flowers, this vigorous climbing rose is a sport of the bush rose which shares its name. 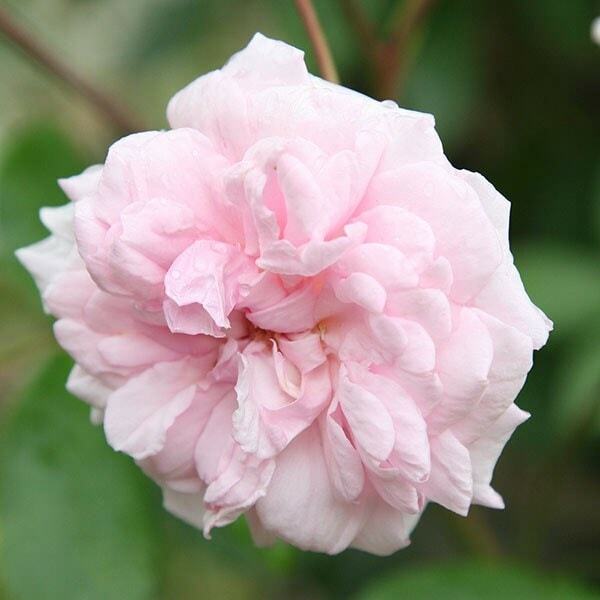 It has good disease resistance and is perfect for an open, sunny wall or large pergola. A cottage garden classic. Remove the plants from their pots and gently spread out the roots before placing them in the centre of the hole. 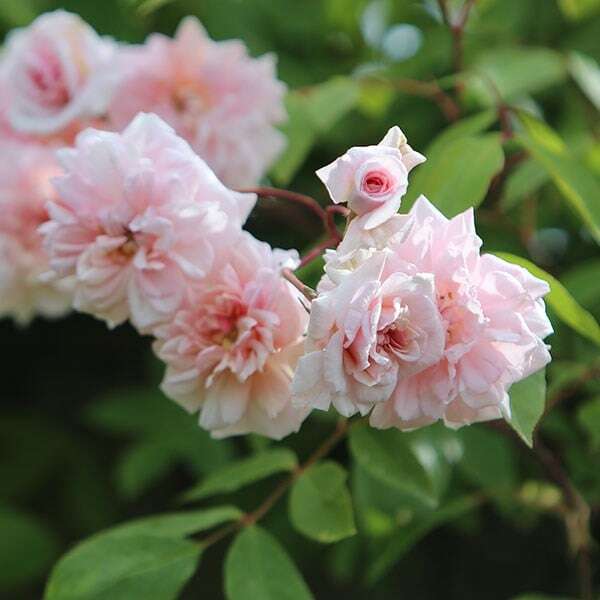 Try to ensure that the 'bud union' (the point where the cultivated rose has been grafted onto the rootstock, and from where the shoots emerge) is at soil level. You can judge this quite easily by laying something flat, like a spade handle or bamboo cane, across the top of the hole. When they are at the right height, back-fill the hole, firming the soil down gently before watering the plant well. 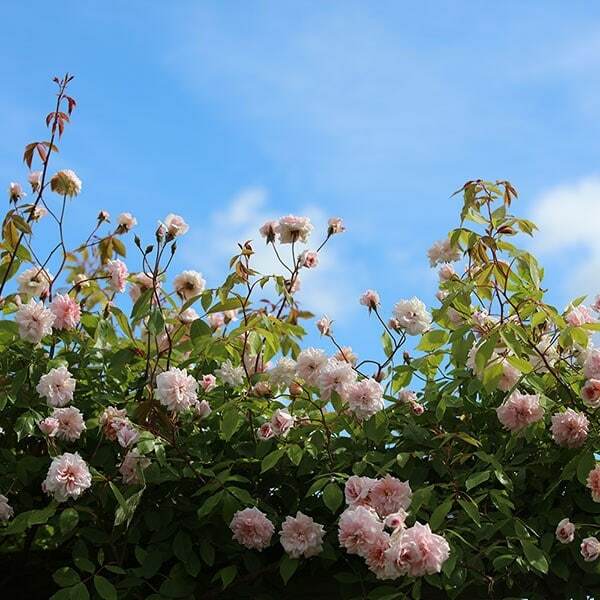 Tie the stems to the support in and open fan shape and as new shhots emerge, tie these in horizontally, as this will encourage flowering shoots to form nearer the base.